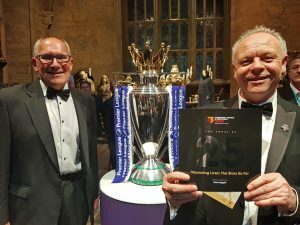 The commemorative book for the Watford FC Community Sports & Education Trust was formally launched at a gala fundraising dinner held at the Harry Potter Experience at Leavesden last Thursday 26 April. 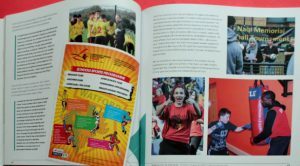 It was great to see the best part of a year’s work in final glossy form being appreciated by the large gathering. I was able to talk to many of the people who had contributed interviews to it and therefore to celebrate a truly team effort. 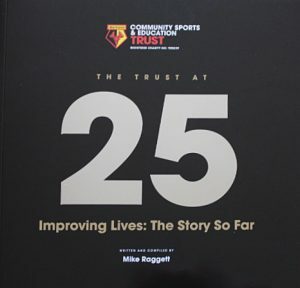 The book will now be sent to all season ticket households as the culmination of a year of celebrating 25 years of the Trust’s achievements which the book documents fully through personal testimony from those involved as providers and recipients with an emphasis on the latter. 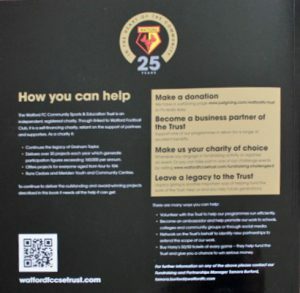 It’s hoped that the book will give regular supporters a clearer understanding of the important work the Trust delivers on a daily basis for people in the community from 4 to 104.
and the back cover confirms the book’s mission not just to celebrate what has been done but encourage people to support the charity’s work in the future. 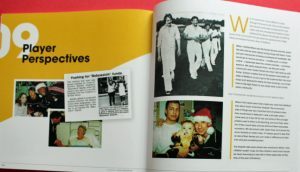 A wonderful book and a great pleasure to have worked with Mike on this project for the last year. 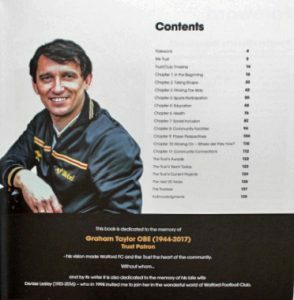 The book is superbly written and compiled and will be appreciated by many supporters of the club and the Trust. It will also serve as a fantastic vehicle to showcase the work of the Trust and to educate the many supporters who do not know about the diversity of the projects delivered. 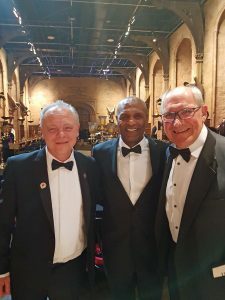 Working with Mike has been a great experience and his knowledge, guidance, experience and skill has made the project a big success, and a fun time for the whole project team!